Kevin Stein grew up, like most contemporary poets, believing what he was told, that poetry was a dying form, a noble if outdated genre. His experience as a poet, teacher, and promoter of the art, though, proved that assumption wrong. Poetry is, Stein argues, now more popular than ever. Its obituaries were premature, and its afterlife—after the shift toward the digital, after the institutionalization of the poet as a member of the academy, after supposedly creaking along for the better half of a century—promises to be American poetry’s best age ever. 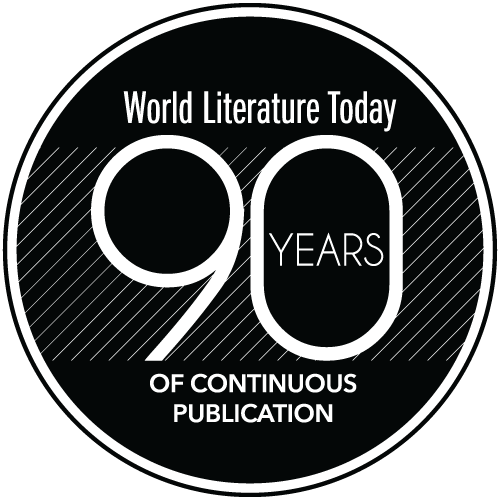 Stein sets out three goals in his preface: first, he intends to situate “the individual poetic self amid the pendulum swings of large-scale aesthetic history”; then to explore how technology has affected the writing, distribution, and receptions of poetry; and finally to “scrutinize poets’ increasingly institutionalized roles” at university workshops. His opening essay summarizes two centuries of American criticism concerned with the binary branches of American poetry: the academic (now workshop) and the oppositional, which includes everything from language to slam. Stein is careful not to consider his aesthetic generalizations definitive, as in his essay that explores the liminal nature of James Wright’s poetry, which alternately trusts and doubts the legitimacy of emotion. Later chapters discuss top-ten list fetishism, the newspaper as means of poetry distribution, and the computer’s impact of the future of literary archives. Stein proves throughout to be a scholar of great breadth, as likely to reference ESPN’s Sports Center or MySpace as he is to offer a diagram of how the human eye works. 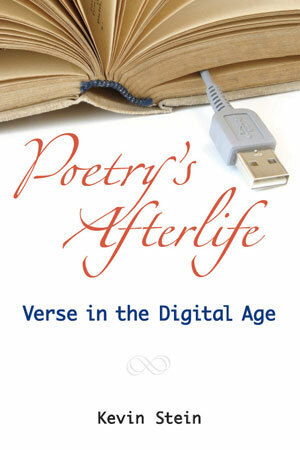 His “Digital Poetry Playlist” ought to be required reading for any poet or scholar over thirty years old, introducing work by Loss Pequeño Glazier, Flarf and Conceptual Writing poets, and others, suggesting sensibly that “the medium[s] can proffer . . . means to poetic ends.” That statement exemplifies Stein’s general outlook of optimistic realism; he realizes that the digital shift has already happened—we’re living in its afterlife—and its legitimacy is best assessed by examining the quality of the work itself. Stein’s final section springs from his experience as teacher and poetry promoter—he has served as Illinois Poet Laureate since 2003. Throughout his discussion of practical concerns, like violence in student poetry (especially since the Virginia Tech shootings), teaching voice, and “Why Kids Hate Poetry,” which condemns the dominant early pedagogies employed to teach the subject, Stein maintains his outlook throughout: he views poet-teachers not just as cogs in the MFA-churning system but, more optimistically, considers the classroom “the febrile site where . . . our future poets” first encounter the art form. 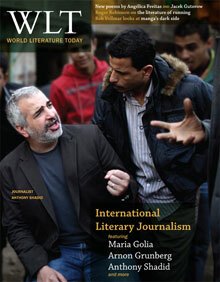 A special section devoted to International Literary Journalism headlines the March 2012 issue of WLT, including a fascinating interview with Anthony Shadid.